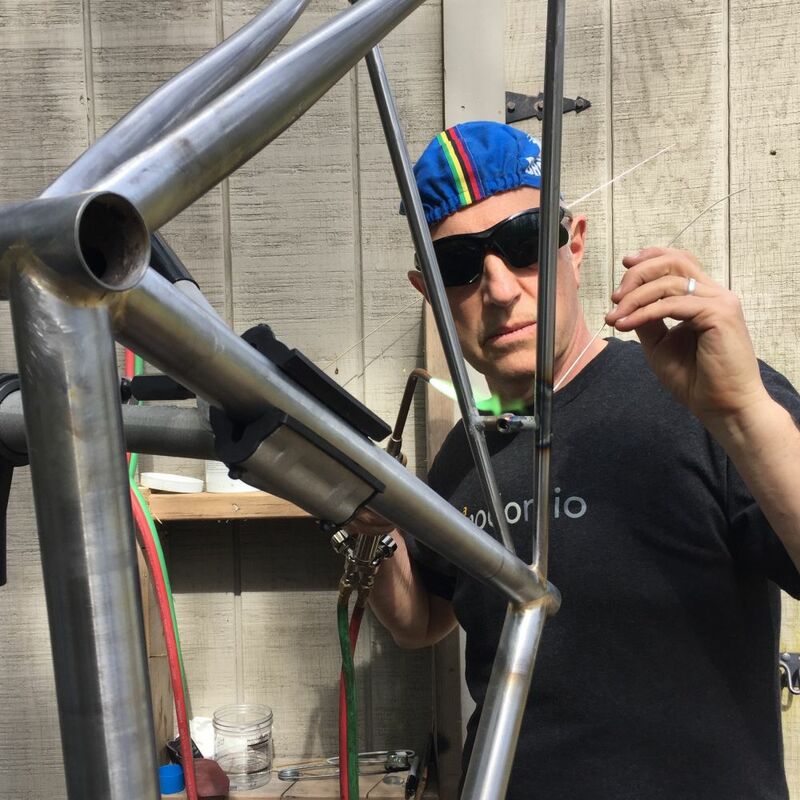 VeloNews caught up with the bike builder and talked about his newest venture. Ben Serotta never really went away. How could he? Classic bikes around the world bear his name and serve as a reminder of his place in cycling history. But after a 2013 split with Divine Cycle Group, Serotta dropped out of bicycling’s public sphere. Until last week, it’s fair to say most of us had no idea what Serotta had gotten up to since then. He’s been busy — very often sitting on an airplane en route to various manufacturing facilities in Asia. From his vision-expanding time working on a bike share system in New York to reimagining and restarting his own bicycle brand dubbed Serotta Design Studios, Serotta’s creativity and energy never left the bicycling world at all. It just took a lot of behind-the-scenes work to bring it back to us. 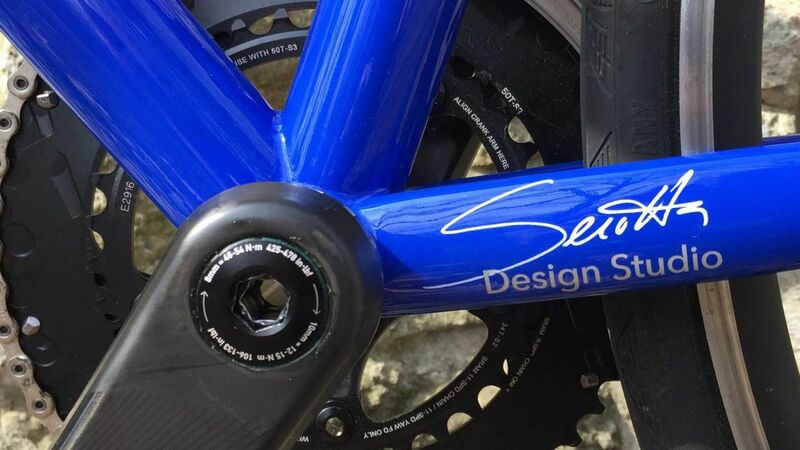 VeloNews tech editor Dan Cavallari caught up with Serotta to find out what he’s been up to and what brought him back to the cycling sphere. VeloNews: Let’s start with an easy one: Where’ve you been all these years? Since 2013, anyway. Ben Serotta: The business that I’ve now just launched was something that was percolating in the back of my mind in late 2013. At the same time, I was asking myself whether or not I was ready to dive back in. I had been putting a lot of thought into how to reconfigure the business. It was clear how business needed to be done, and it was going to be different from how we had done it in successful years and how we were still trying to conduct it. Something that intrigued me was the relationship to the end user. In the many years of building Serotta, I started the business with a little retail store and I worked one-on-one with all my clients. As the business evolved, that happened less and less frequently. It never went away, but I realized there was something I was personally missing as well as just appreciating the relationship. When you put a lot of time into making something, part of the payoff is the vicarious relationship with the end user, getting to ride with whoever that is, an endurance athlete or professional athlete or just someone who’s having a great time. So I was thinking about, it’s not just as simple as saying consumer-direct. How do I put myself and the company in a position to have a better relationship with our end-users? I was exploring membership-based businesses and came across what was happening with the bike-share world. It was intriguing that the NYC bike share system, or the company that developed that with 10 other cities, was in the process of being sold to a New York-based real estate company and a New York-based fitness company. I contacted them because I was curious, and had a phone call. I wasn’t interested in doing work for them, but I wanted to have a conversation. That led to the conversation of what are you doing now, we could use some help figuring out our supply chain. That led to my doing some consulting work for that Brooklyn-based company and it was very full-time, and it was fun. It was so completely different from what I had been doing, and there was a great appeal to that. Instead of trying to build a perfect bike for one person, I was trying to build a perfect bike in one size for thousands of people to use. It was an interesting transformation. The path that needed fixing was developing a supply solution from Asia, and for the first time in my business career, I went to Asia. I hadn’t had a reason to go because I’d been so committed to manufacturing in-house. It was great on so many levels. Relationships that I developed on those trips really made this next episode possible. VN: It’s clear there was some bitterness by the end of your split with Divine Cycle Group. Where did that leave you, mentally, regarding how you felt about the bike industry as a whole? What made you want to come back? BS: A variety of considerations. Yes, it was not pleasant. And actually, the final closure was, really, a final sting. The last two years I was pretty frustrated because all my energy was going into figuring out how to right the ship and not spending any time being creative. I never liked bicycles any less. I never liked being creative with bicycles any less. If anything, I’ve had this pent-up need to do something different and work with bikes. Sure, it’s never pleasant to be actively reminded about the things that didn’t work so well. And the other way I’m embracing this and thinking to myself, it would have been really nice to not be lied to or deceived, and it would have nice to have had a ride into the sunset with the one company. On the other hand, a change of perspective, and going out to look at other manufacturing facilities, there are opportunities available to me now that weren’t there before. Part of me is thinking I should have closed the chapter on that sooner and do things differently. I’m OK with that. There’s always a little bit of pain and remorse about how things went, but I’m not going to let that stand in the way of having fun and doing something constructive and being successful. VN: It sounds like you’ll be executing a consumer-direct model for your business. Why did you choose this? Purely dollars and cents, a reason to connect directly with customers, or a reflection on how bike shops are changing? BS: I would say all of the above. I think that it’s no revelation that how business is done is changing and has been for a number of years. Expectations are changing. Available margins are shrinking. Those are absolutely realities. I had come to miss the personal relationship, having a closer relationship to the people using my bikes. That was one of the things I wanted to change from the past. This decision is by no means a dumping on bike retailers. A lot of the people in the industry who I hope would still consider me a friend — I’m not dissing them. It’s just recognizing there’s a lot of change going on. In the past, [a retailer’s] No. 1 brand concern had to be their brand, which means no other brand can have the same level of priority concern. The dealers own the relationships with the consumers and good retailers recognize that, and guard that very closely. By the nature of how that business is done, the manufacturer has a separation there — unless you work hard to put your foot in the middle of that, which we didn’t. I wanted it to be a better relationship, but also to have a communication with our end users to see how we’re doing. We believe strongly in the product that we’re making now and the things we’re developing, but there’s nothing that beats direct interaction with the end user to find out if you’re right on target, not meeting the target, or blowing by the target in a good way. There’s a value there that this time around we were grasping. That’s also an opportunity, and it’s our obligation to make sure the end user has the best possible experience, and that’s different for different people. Not everyone is ready to make a decision on their own. Some people know exactly what they want. But everyone values their time. The one truth is, busy people in particular value their time and the quality of their time. So our goal is to spend their time wisely. To some people, that’s not spending time going to a bike shop and having a lot of conversations about what they want to buy. We want to take up less of their time. Our process if fairly open-ended. We’d like the transaction to go in whatever way the customer feels most comfortable. Most people have an idea of what they want and have had a bike fitting session or have a bike they already own that fits them well. And we make sure that their new bike is set up to that standard. If there’s something we can’t resolve, we’ll connect the customer with a live bike fitter. If someone wants to maintain a relationship with a bike shop, then we want to accommodate that as well. We’re in this to deliver the best possible experience and the best value possible. We’re not setting up a dealer network but we’re happy to have relationships with retailers or independent mechanics or independent fitters as long as that’s what the consumer wants. VN: Why aluminum, when carbon seems to be the gold standard? Do you see a risk in putting the Serotta name on a frame made from a material that’s not considered top-of-the-line in your customers’ minds? BS: There are many risks in starting a business and choosing a product line and there were many decisions regarding going with aluminum, knowing full well that there’s considerable momentum toward carbon — though the momentum has slowed. At the end of the day, I realized we don’t need to excite everyone. We don’t need everyone who’s going to buy a new bike this year to buy one of ours to be successful. Looking back over my years in the business, most of the time the decisions I made because it felt right to me, without particularly worrying about how well it would be received, usually were the most successful things I did. I’ve had to remind myself of that. It’s uncomfortable going against the grain of a trend, but I decided these bikes needn’t be what everyone was assuming they would be. They just needed to make sense to me. I freed myself from the burden of the bike having to be carbon or titanium. The reason for going with metal bikes is my never-ending commitment to the notion of great bike fit. Fit is a combination of how the one thing — the bicyclist and the bicycle together — having a bike that you fit very well, makes more difference than any material difference. Every one of those materials has a poor version of it (carbon, metal, etc), so assuming we’re looking at top tier of everything, all of those products perform very well. This gives us the opportunity to make more uniquely distinct sizes. Top-tier carbon fiber, the big hurdle there is the high cost of molds, so manufacturers make sizes that sometimes aren’t very different. And so I felt that coming to market with bikes that would fit great, and a system that would make sure people got a bike that would fit great, would offer more value in the end than the material it was made out of. I then had the option of aluminum, steel, or titanium. I bought a Cannondale a couple of years ago. I hadn’t ridden an aluminum bike in a while, and I was really impressed with what they’d done. It wasn’t exactly what I wanted in the way the bike rode, but I felt I could get there with aluminum. And it didn’t have to behave like traditional aluminum bikes. If it was aluminum instead of titanium or steel, it could be a little bit lighter and somewhat less expensive than trying to manufacture bikes that would ride equally well out of the other materials. Does it deliver the same bike as a super-high-quality, made-to-order carbon bike that might sell for $15,000? No, but it’s not far off of that. I’m confident that it has the ride qualities of any of the top tier bikes of the other materials. Am I little bit nervous about how people receive the bike? Sure, but I have every bit of confidence that anyone who takes the plunge won’t regret it. VN: The bike still comes with some carbon parts, though. 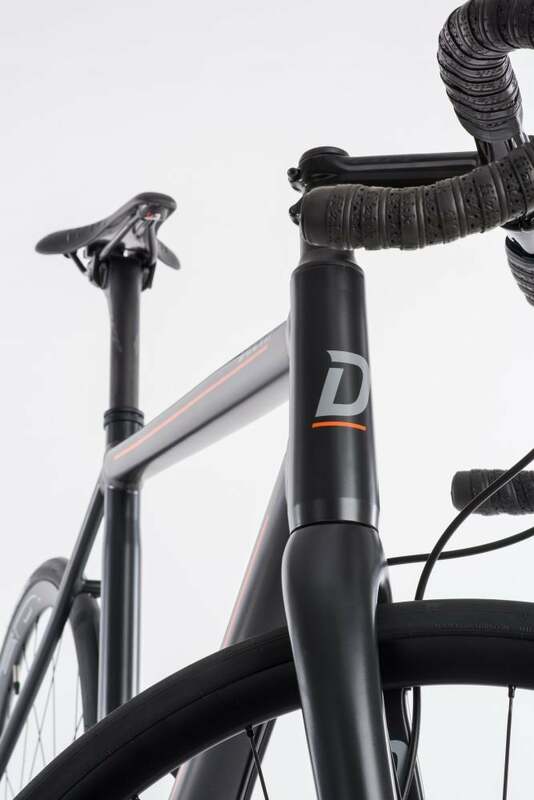 BS: Part of the reason we spec’d it as a complete bike rather than a frame only is because to me it’s important that a bike has a nice carbon handlebar and seatpost to help balance the smoothness of the bike. We did put a lot of time and effort into the fork. Both bikes share the same fork, which was a ground-up project. I was not happy with off-the-shelf disc road forks that were available. There were a lot of poor starts with disc brake-equipped road bikes, not understanding how forces go into the fork and frame. So the fork is not only significant in how the bike feels, but it was also a significant investment of time and energy to make sure we had a fork that was really strong, durable, and had a great ride. Carbon fiber was the only material I’d use in a modern-day fork. I never say yes to anything unless I’m really sure of it. The products we are working on now and in the future, there will be more use of composites because it’s an irresistible material to use. I don’t want to give the impression that carbon fiber is a bad material for bikes; just that good fit is the most important. It is a Taiwan-made fork. I worked with my longtime friend and designing buddy Jay Clark — we worked for years together at Serotta. My trips to China and Taiwan, while working on the bikeshare bikes, gave me the comfort level and relationships I needed. They were really proud of the work they were doing and that really hit home for me. My years of preconceived notions had built this idea that no one over there cares what they’re doing, they’re just working. But this team of workers blew that away. They wanted to show they were capable of solving a problem without somebody from North America telling them what to do. It was really a significant experience for me. So our goal with making this fork was to find the best facility, best company to work with based on what we were trying to do. VN: On your website, you mention you’re not much of a gravel bike fan. Why not? BS: The only way I reject the notion of gravel is, the notion that you need to have a specialty bike in order to ride on gravel. There’s nothing wrong with having the right number of bikes, N+1, if you have the space and are an equipment geek and have the resources to keep adding to your collection. That’s great. But again, as I said, I’m absolutely blessed to have spent my life so far in the northeast in upstate New York. It has unbelievable road cycling and mountain biking and everything in between. So I’ve always been able to do a bit of everything because it’s here. Most of the riding I do is on pavement, not that it’s always great pavement. So I do really enjoy the slightly wider rims and tires and lower tire pressures. Part of the appeal to some people of finding these gravel roads is the absence of traffic. So for cyclists that live in a heavily-trafficked area I understand the appeal. But that doesn’t mean you need to give up on a bike that’s well-suited for everything. There’s no question that the bike industry as a whole will embrace anything new that might give people a reason to embrace the N+1 idea. People write me all the time wishing me good luck and then tell me about the bike they still have that’s 15 or 20 years old that they ride on Sundays because they can take it anywhere. That’s the way I look at this. What I love about riding a bike is, I don’t have to do anything other than change my clothes, pump my tires, and go out the back door. The one thing that troubles me about these specialty bikes is, it usually means turning a ride into an excursion first before you actually end up going for a ride. VN: What kind of bottom brackets do you use in your bikes? And were other styles considered? T47, for example. BS: The aluminum bike is PF30. The steel is British standard threads with a 68mm bottom bracket. It works just fine. Am I considering other choices? Yes, I do my best to keep up with the new ideas that are out there without prematurely embracing something. My commitment to myself and my customers is to deliver a product that I know they will really enjoy having. And that means a fairly high degree of tried-and-true experience so there’s a level of confidence there. This is an industry with a lot of enthusiastic people in it, which is a great thing. It also evolves out of people trying to sell stuff. Bike choice is more complicated than it should be, and to a degree that it takes away from the purchasing experience. On the one hand, there are some folks that, bikes are their one thing and they can afford 20 bikes in their garage and can try everything that comes along. But my vision for this business — it’s not to say any of this stuff isn’t any good because that wouldn’t be honest or true, but I want to take the other end of the spectrum. Right now I’m focused on road bikes and the next few things will be road-oriented, and we’ll branch out in time. But my goal right now, if you mostly ride on the road and want a new road bike, I’m telling you we’ve thought this through from top to bottom and you’re going to love this bike. I made a decision pretty recently, about a month ago, based on an inquiry from a customer who is short but not unusually short. I made a decision to really throw us back into having a smaller wheel option. There have always been builders who offered to build bikes with a smaller pair of wheels to allow smaller riders to be in the best riding position for power and handling without excessive toe overlap. There was a brief period of time when Serotta was building bikes like that. The people that got those bikes absolutely loved them and realized they weren’t giving up anything in terms of speed and performance but were gaining handling because the bikes were proportioned properly. But we never got the advantage in sales because the industry was so heavily male-dominated and there was misinformation about using different size wheels. Based on this customer inquiry, I decided this just does not make sense trying to convince someone who is shorter than 5-foot-4 to be farther behind the bottom bracket than the small bikes that these wheels are built for. I said screw it, I’m going to add these few sizes and the opportunity to do custom. I’m excited by that. I’m pleased to see that Canyon has an offering in their line. We have our fork mold that’s almost finished, and new forks being made to accommodate a 559 rim diameter as opposed to a 584.